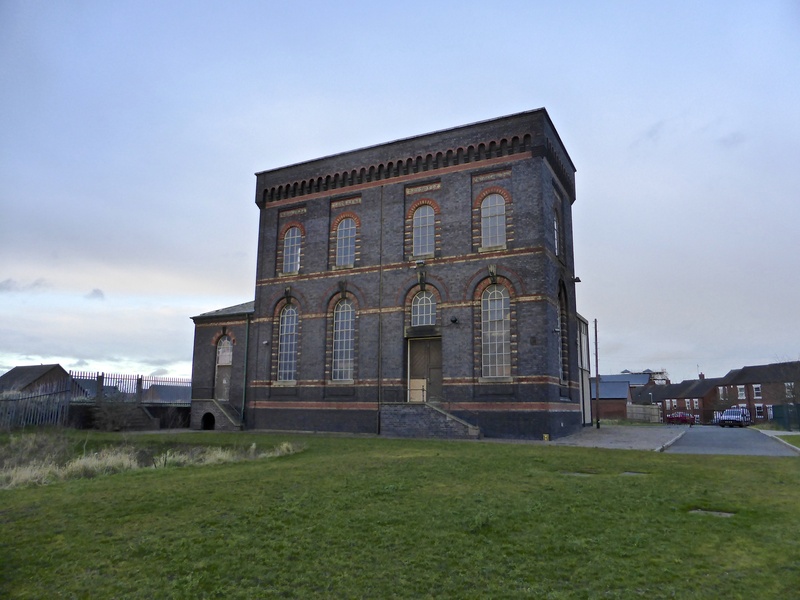 Sandfields Pumping Station champion and public historian extraordinaire Dave Moore has been in touch to let me know that this Monday evening, 8th April 2019 there will be the monthly Public Meeting of the Lichfield Waterworks Trust charity, formerly the Friends of Sandfields Pumping Station group. Two of the trustees had a meeting with Persimmon homes in March. The meeting was open, honest and frank. The trust welcomes this improved working relationship with the owners and wish to continue with a productive dialogue that will be of mutual benefit to both parties. Mains cables have now been installed, with the remaining connections still to be made. Contractors surveyors and engineers have been on-site to assess the final connection works. Hopefully, electrical power will be available soon. We see march as a month of significant progress, we would like to thank everyone for their ongoing support. After the visit by Historic England on 16 Jan, the site has unfortunately been placed on the Heritage At Risk Register. This is indeed sad news to see that this magnificent piece of industrial heritage is now officially at risk of permanent loss. The trust is committed to continue working with the owner, Persimmon Homes Ltd to find a sustainable solution that will bring this building and its historic contents aback into a community use. The development of antibiotics has been hailed as a significant step in the improvement in quality of life. Yet the reality it has not made a significant difference. [Astounding assertion there – Bob] Yet the provision of clean water and effective sanitation made a significant improvement in life expectancy but did not make the news in the same way as antibiotics. So, what are the factors that influence the health and wellbeing of the community? Alan’s research looks at the importance of communities and the ways people support each other, as well as the more obvious areas like diet and lifestyle. We’re looking forward to hearing the early results. The engineering team are continuing to make steady but continual progress. They have made an impressive job of cleaning the chequer plate floors and the cylinder landing. The work is time consuming but showing amazing results. The building team are also making steady progress. Lighting has been improved to some of the basement areas and toilets. The railings and doors are looking better for a coat of paint. The team are busy working on one toilet and converting it to a washing area with a sink and drainer, improving the welfare facilities to benefit all visitors. Work is well underway preparing the wring system for the new power supply. Please click here to explore it. History West Midlands have produced a stunning podcast titled – Making Cholera History in the Black Country. Presented by writer and broadcaster Graham Fisher and Directed by Andy Partington, featuring David Moore, the podcast gives a detailed history of both Sandfields pumping Station and the story of clean water. Please click here to find out more about the podcast. The archive and research team have done some sterling work preserving and cataloguing the historic artefacts left on site. Lists of water quality documents, tables, customer complaints and numerous other documents have been carefully and skilfully sorted, catalogued and stored. The archive material will provide research opportunities for many years to come. With over 2,500 volunteer working hours, (equates to more than two full time equivalents) and over £14,000 spent in cleaning equipment, materials and scaffold over the last two years. This month has seen quite a drain on our bank balance with invoices for the viability study and scaffolding landing on the desk. Looking at the engine now, as opposed to how it looked in 2016, the volunteers have made some remarkable progress. Thank you everyone for your continued support and helping to make a difference in our community. We hold work days every Friday between 10:00 and 12:00am, please feel free to pop in a see us, we make everyone welcome and have free tea and coffee! This entry was posted in Environment, Events, Followups, Fun stuff to see and do, Interesting photos, Just plain daft, Local Blogs, Local History, Local media, News, Reader enquiries, Shared media, Shared memories, Social Media, Spotted whilst browsing the web and tagged 11 March, 2019, Architecture, at risk, Black Country, buildings, Dave, David, Discovered, event, Events, Facebook, free, heritage, Kate Gomez, lecture, Lichfield, Lichfield Discovered, Lichfield Waterworks Trust, local blogs, Local History, Lore, meeting, Monday, Moore, pub, Sandfields, Staffordshire, Talk, Things to do. Bookmark the permalink.